Siemens researchers have developed a new type of electric motor that, with a weight of just 50 kilograms, delivers a continuous output of about 260 kilowatts – five times more than comparable drive systems. 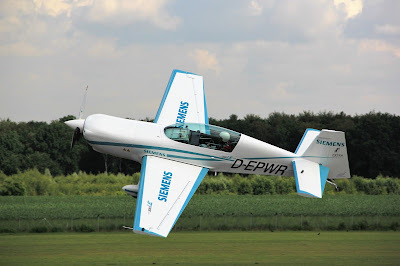 This record-setting propulsion system successfully completed its first public flight today at Schwarze Heide Airport near Dinslaken, Germany, where it – almost silently – powered an Extra 330LE aerobatic airplane. The new drive system had already made its maiden flight on June 24th 2016. This advance means that hybrid-electric aircraft with four or more seats will now be possible. 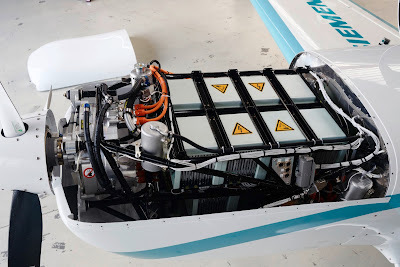 In addition, the company will be contributing this technology to the cooperative project that Siemens and Airbus agreed to in April 2016 for driving the development of electrically powered flight. 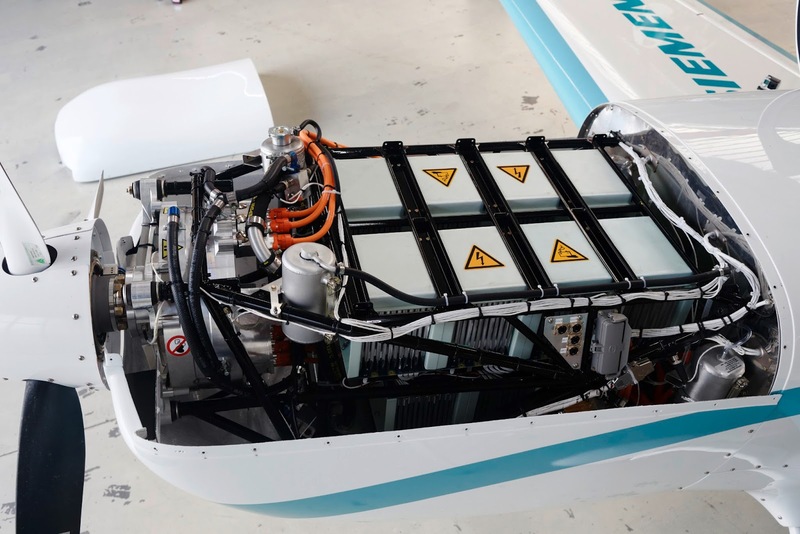 Electric drives are scalable, and Siemens and Airbus will be using the record-setting motor as a basis for developing regional airliners powered by hybrid-electric propulsion systems. Siemens is determined to establish hybrid-electric propulsion systems for aircraft as a future area of business. The motor has been specially designed for use in aircraft. 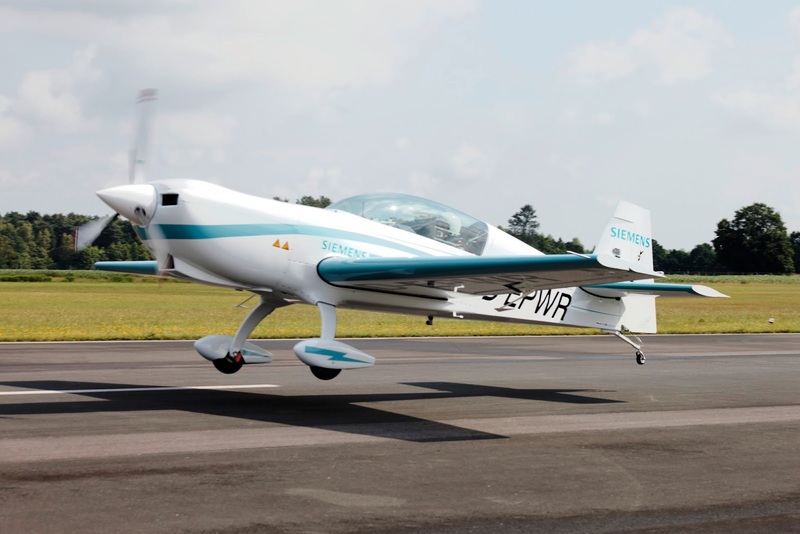 Thanks to its record-setting power-to-weight ratio, larger aircraft with takeoff weights of up to two tons will now be able to use electric drives for the first time. To implement the world-record motor, Siemens' experts scrutinized all the components of previous motors and optimized them up to their technical limits. New simulation techniques and sophisticated lightweight construction enabled the drive system to achieve a unique weight-to-performance ratio of five kilowatts (kW) per kilogram (kg). The electric motors of comparable strength that are used in industrial applications deliver less than one kW per kg. The performance of the drive systems used in electric vehicles is about two kW per kg. Since the new motor delivers its record-setting performance at rotational speeds of just 2,500 revolutions per minute, it can drive propellers directly, without the use of a transmission.